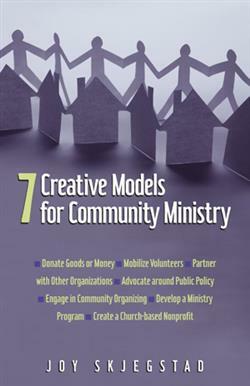 A practical guide for church leaders seeking to engage their congregations with the community, offering step-by-step instructions on 7 ways to structure transformational community ministry. Joy Skjegstad first outlines processes for learning about the neighborhood, assessing gifts and passions within the church, and finding a good fit between congregation and community. Building on extensive writing already done on missional church strategies and community ministry, this book is a good next read for pastors and church member alike who are ready to take specific steps to implement a community ministry strategy.